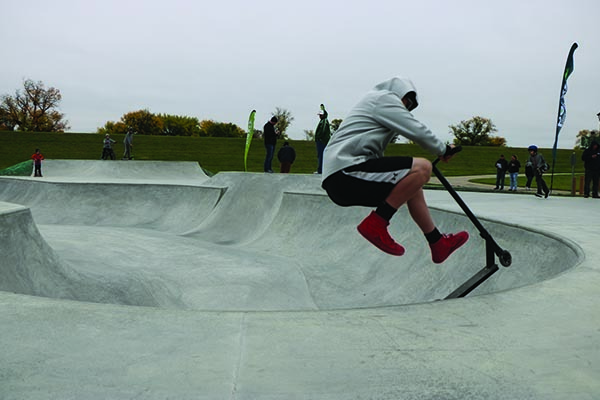 WARNING: Rydell Skatepark is an unsupervised facility, ride at your own risk. 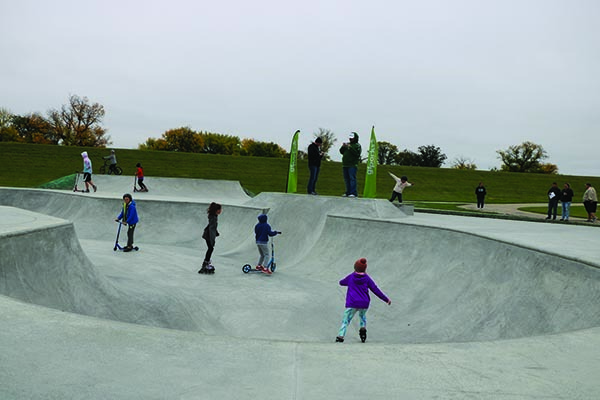 Skateboards, longboards, inline skates, roller skates, bicycles, and scooters are allowed. All pets must be on a leash and cleaned up after. No tobacco, drugs, or profanity allowed. Sunflower seeds, chewing gum, or shelled nuts prohibited. Remote-controlled airplanes/drones prohibited except by authorized permit from Grand Forks City. Amplified sound prohibited except by authorized permit from GF Park District. Alcohol prohibited except by authorized permit from GF Park District. Help us Complete Phase 2!